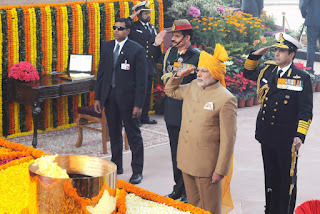 The Prime Minister, Shri Narendra Modi paying homage at the Amar Jawan Jyoti, India Gate, on the occasion of the 67th Republic Day Parade 2016, in New Delhi on January 26, 2016. 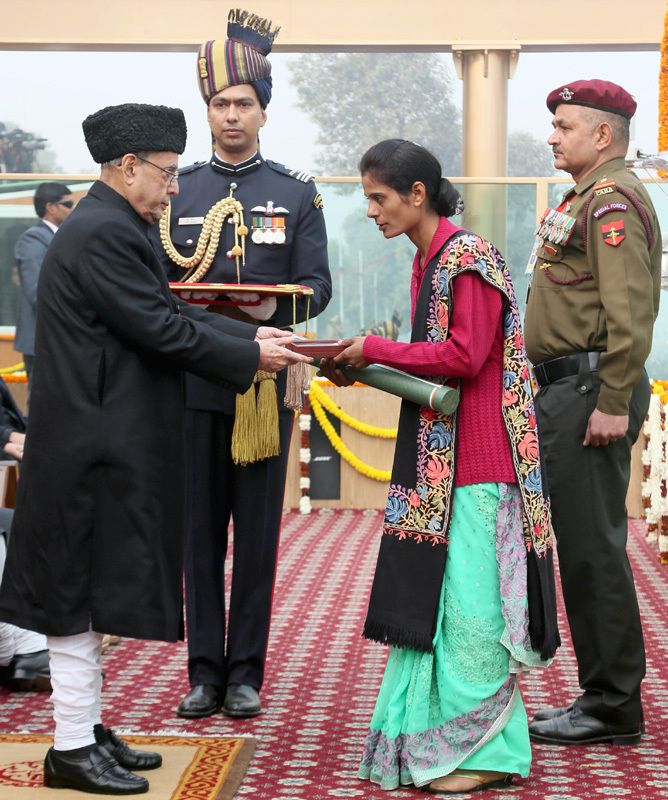 The President, Shri Pranab Mukherjee giving away the highest gallantry award Ashok Chakra to Lance Naik Mohan Nath Goswami of 9 Para (Special Forces) posthumously, the award received by his wife Smt. 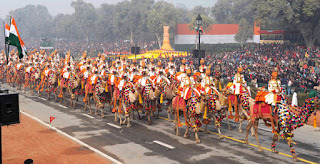 Bhawana Goswami, on the occasion of the 67th Republic Day Parade 2016, in New Delhi on January 26, 2016. 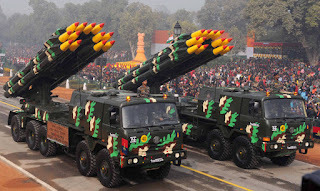 Smerch Multiple Rocket Launcher System passes through the Rajpath, on the occasion of the 67th Republic Day Parade 2016, in New Delhi on January 26, 2016. 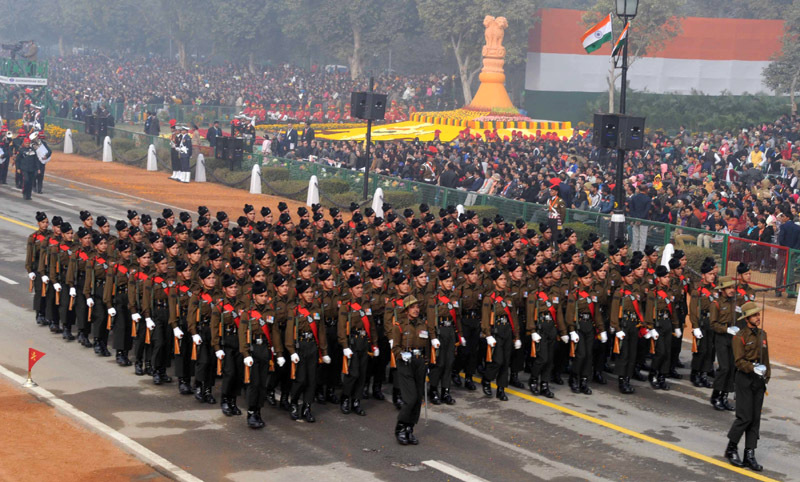 The Parachute Regiment marching contingents passes through the Rajpath, on the occasion of the 67th Republic Day Parade 2016, in New Delhi on January 26, 2016. 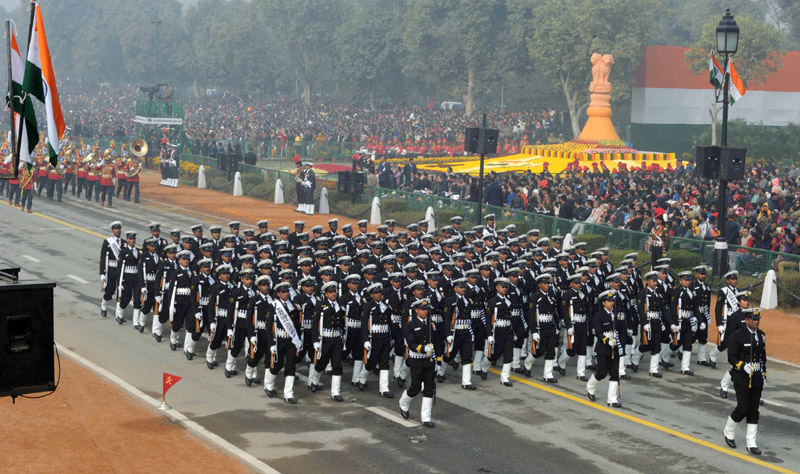 The Corps of Signals marching contingents passes through the Rajpath, on the occasion of the 67th Republic Day Parade 2016, in New Delhi on January 26, 2016. The Rajput Regiment marching contingents passes through the Rajpath, on the occasion of the 67th Republic Day Parade 2016, in New Delhi on January 26, 2016. 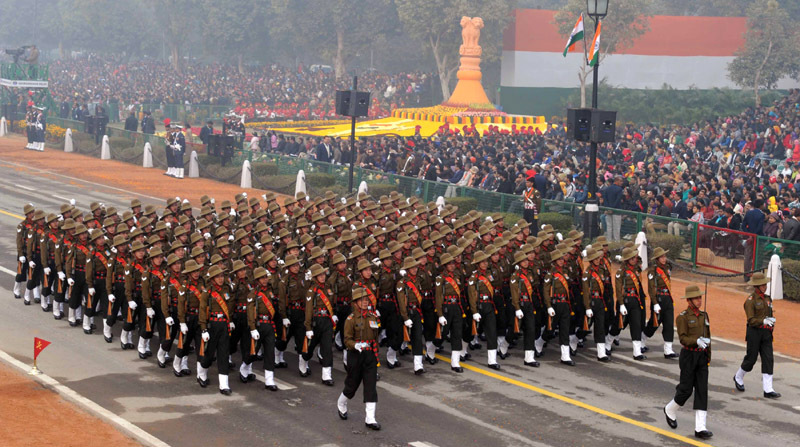 The Gorkha Rifles marching contingents passes through the Rajpath, on the occasion of the 67th Republic Day Parade 2016, in New Delhi on January 26, 2016. 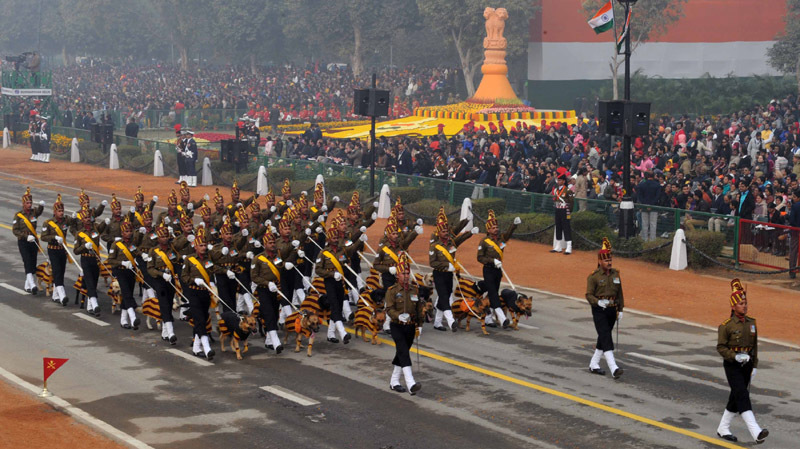 The Remount Veterinary Corps dog squad marching contingents passes through the Rajpath, on the occasion of the 67th Republic Day Parade 2016, in New Delhi on January 26, 2016. 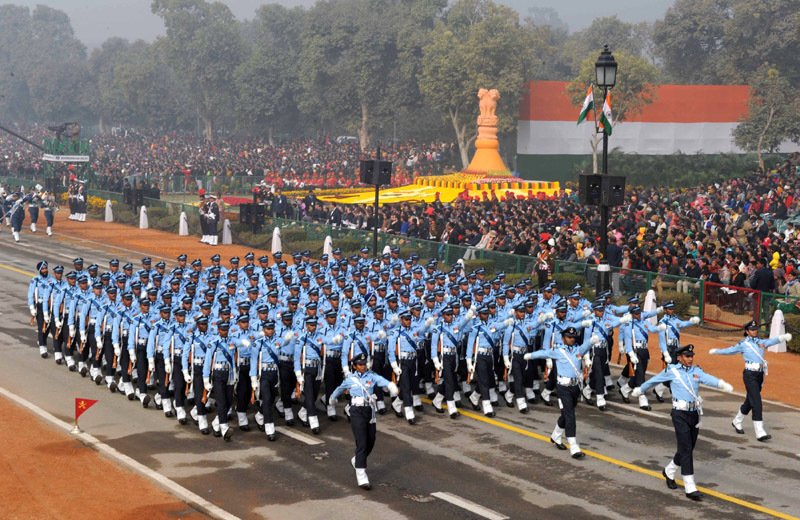 The Air Force marching contingents passes through the Rajpath, on the occasion of the 67th Republic Day Parade 2016, in New Delhi on January 26, 2016. 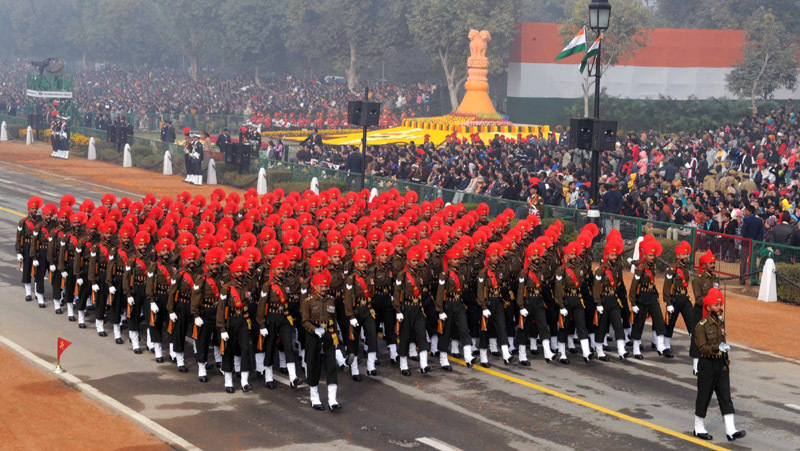 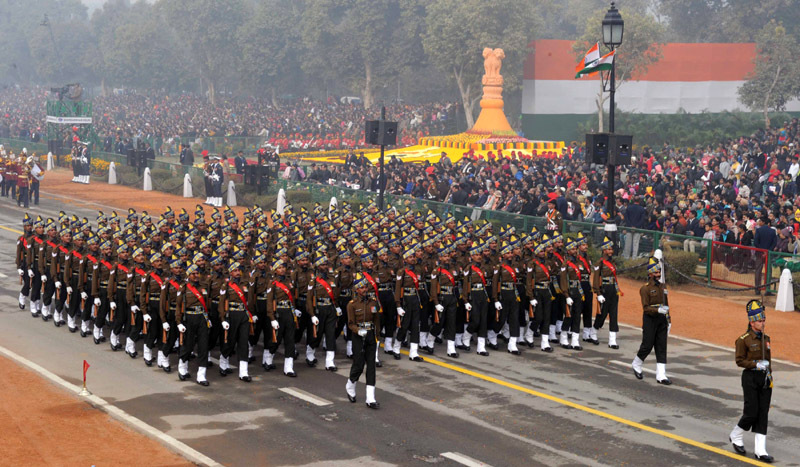 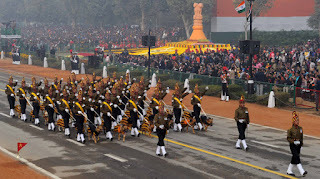 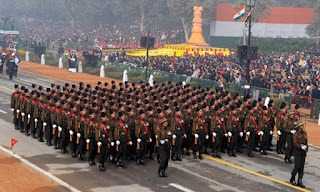 The BSF marching contingents passes through the Rajpath, on the occasion of the 67th Republic Day Parade 2016, in New Delhi on January 26, 2016. 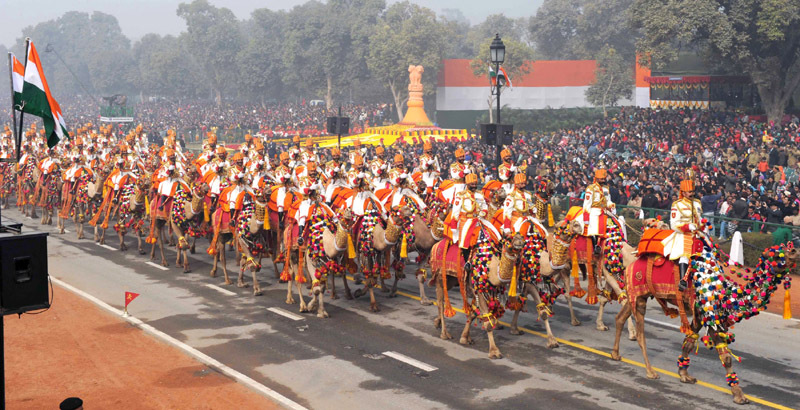 The BSF Camel contingents passes through the Rajpath, on the occasion of the 67th Republic Day Parade 2016, in New Delhi on January 26, 2016. 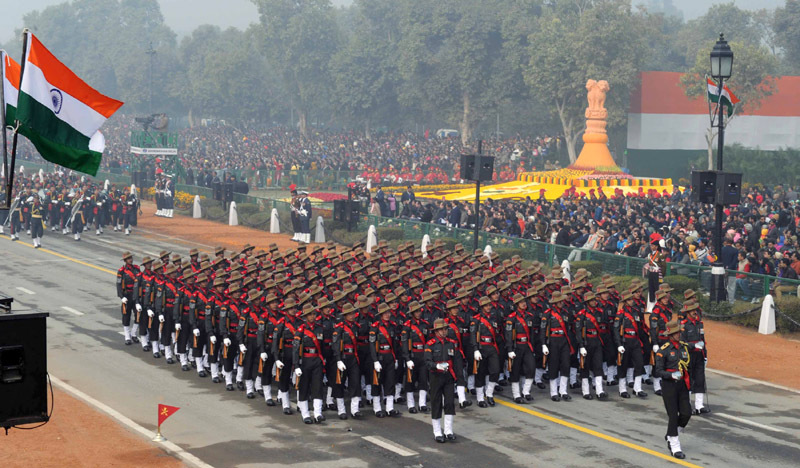 The Assam Rifles marching contingents passes through the Rajpath, on the occasion of the 67th Republic Day Parade 2016, in New Delhi on January 26, 2016. 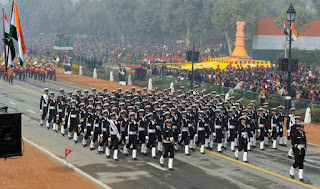 The Naval marching contingents passes through the Rajpath, on the occasion of the 67th Republic Day Parade 2016, in New Delhi on January 26, 2016. 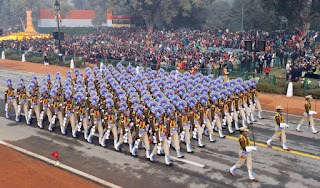 The CRPF marching contingents passes through the Rajpath, on the occasion of the 67th Republic Day Parade 2016, in New Delhi on January 26, 2016. 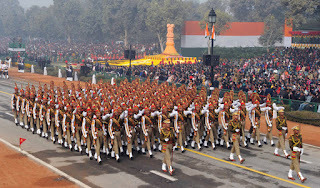 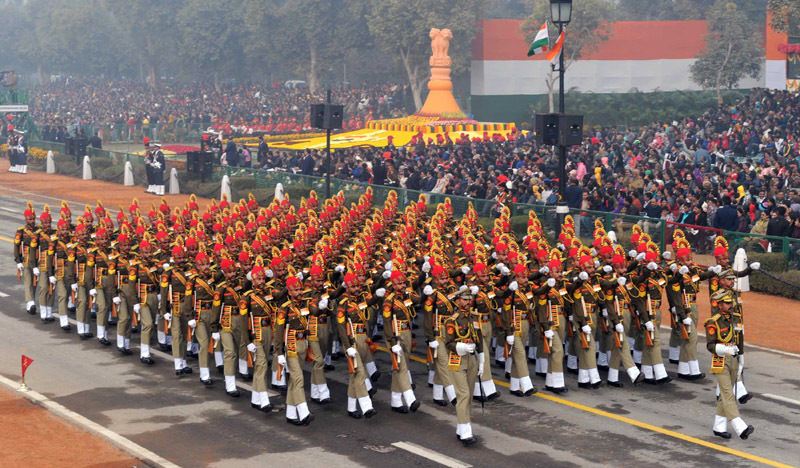 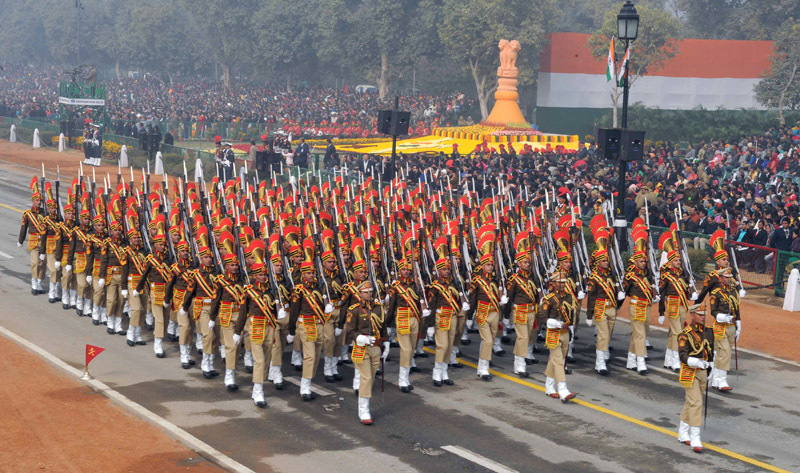 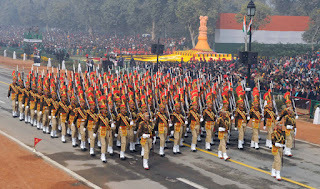 The RPF marching contingents passes through the Rajpath, on the occasion of the 67th Republic Day Parade 2016, in New Delhi on January 26, 2016. 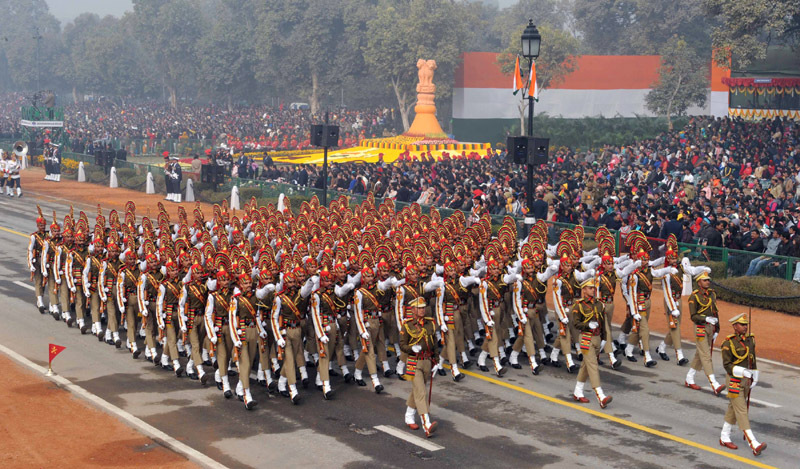 The Delhi Police marching contingents passes through the Rajpath, on the occasion of the 67th Republic Day Parade 2016, in New Delhi on January 26, 2016. 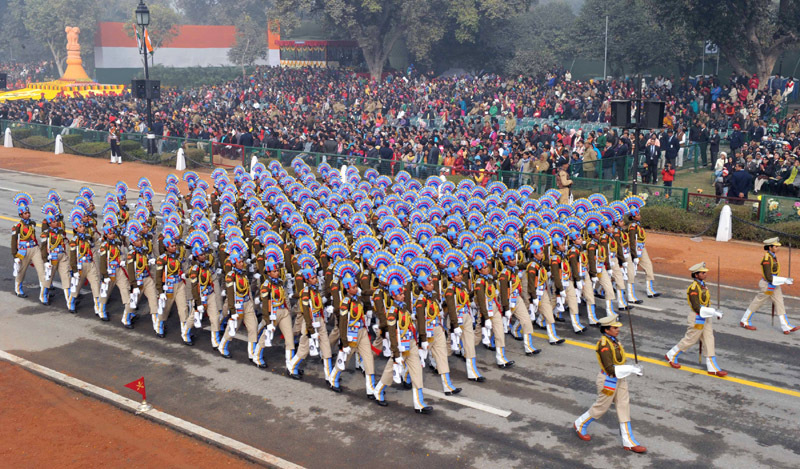 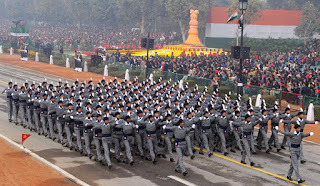 The National Service Scheme marching contingents passes through the Rajpath, on the occasion of the 67th Republic Day Parade 2016, in New Delhi on January 26, 2016. 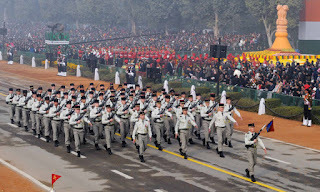 The French Army marching contingents passes through the Rajpath, on the occasion of the 67th Republic Day Parade 2016, in New Delhi on January 26, 2016. 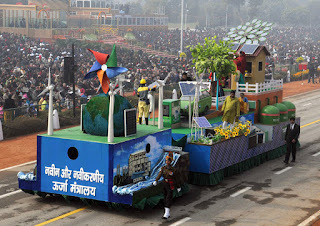 The tableau of the Ministry of New and Renewable Energy passes through the Rajpath, on the occasion of the 67th Republic Day Parade 2016, in New Delhi on January 26, 2016. The tableau of the Ministry of Communications & Information Technology passes through the Rajpath, on the occasion of the 67th Republic Day Parade 2016, in New Delhi on January 26, 2016. 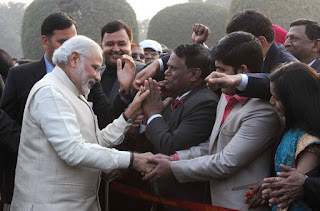 The Prime Minister, Shri Narendra Modi meeting the invitees, during ‘At Home` reception, on 67th Republic Day celebrations, at Rashtrapati Bhavan, in New Delhi on January 26, 2016. The President, Shri Pranab Mukherjee, the Vice President, Shri M. Hamid Ansari, the Prime Minister, Shri Narendra Modi and the Chief Guest of Republic Day, President of France, Mr. Francois Hollande, during ‘At Home` reception, on 67th Republic Day celebrations, at Rashtrapati Bhavan, in New Delhi on January 26, 2016. 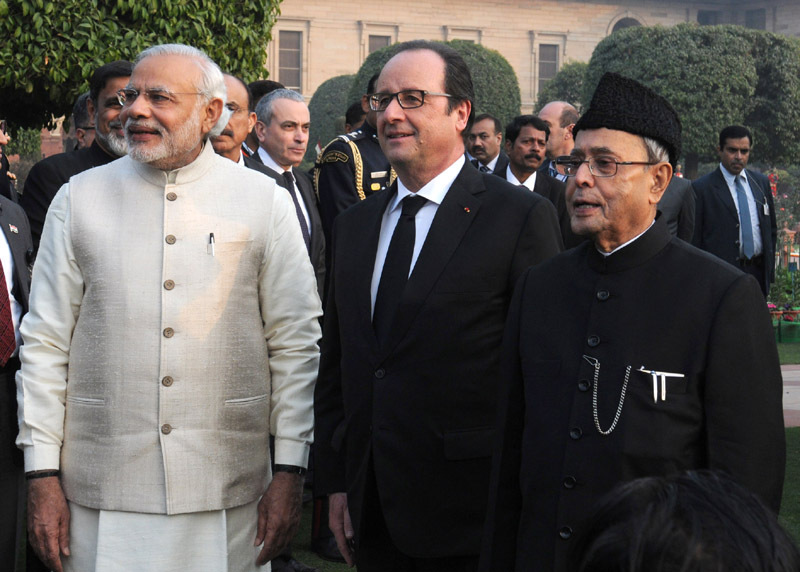 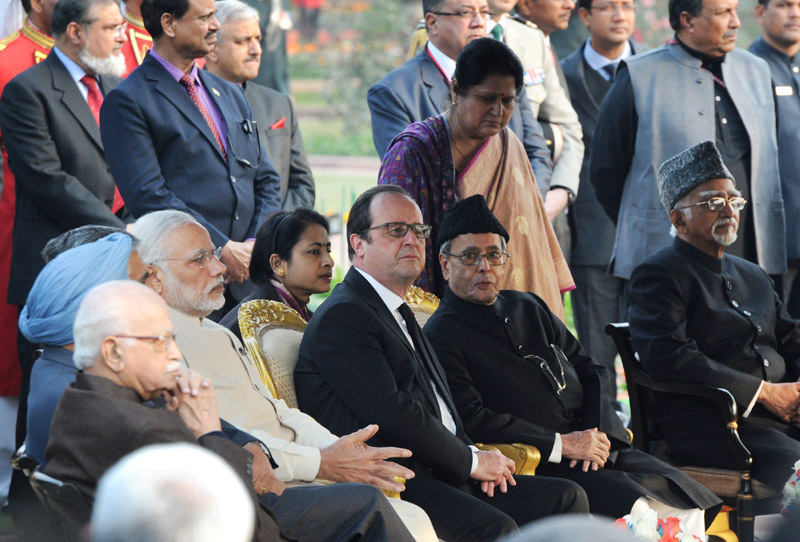 The President, Shri Pranab Mukherjee, the Prime Minister, Shri Narendra Modi and the Chief Guest of Republic Day, President of France, Mr. Francois Hollande, during ‘At Home` reception, on 67th Republic Day celebrations, at Rashtrapati Bhavan, in New Delhi on January 26, 2016. 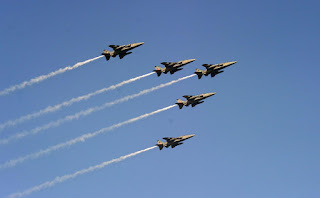 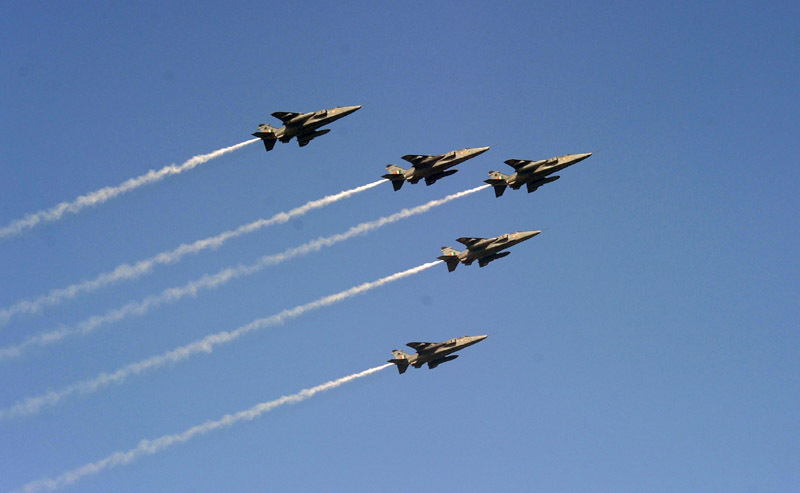 Five planes in arrow formation fly over Rajpath, on the occasion of the 67th Republic Day Parade 2016, in New Delhi on January 26, 2016. 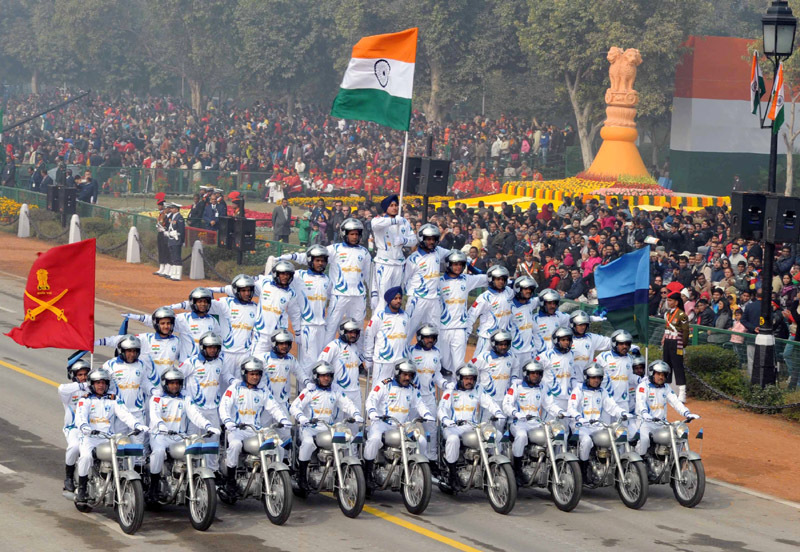 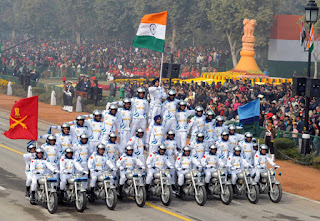 Rajpath comes alive with the dare devil stunts of motorbike riders of Corps of Signals, on the occasion of the 67th Republic Day Parade 2016, in New Delhi on January 26, 2016. 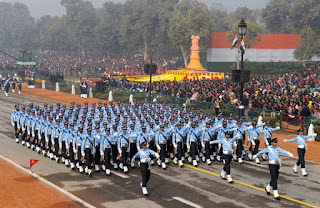 The National Bravery Awards-2015 winning children passes through the Rajpath, on the occasion of the 67th Republic Day Parade 2016, in New Delhi on January 26, 2016. 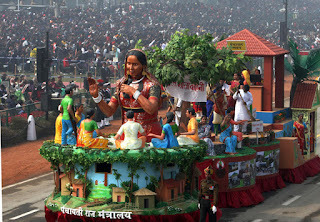 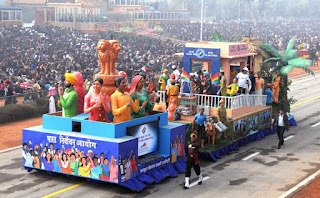 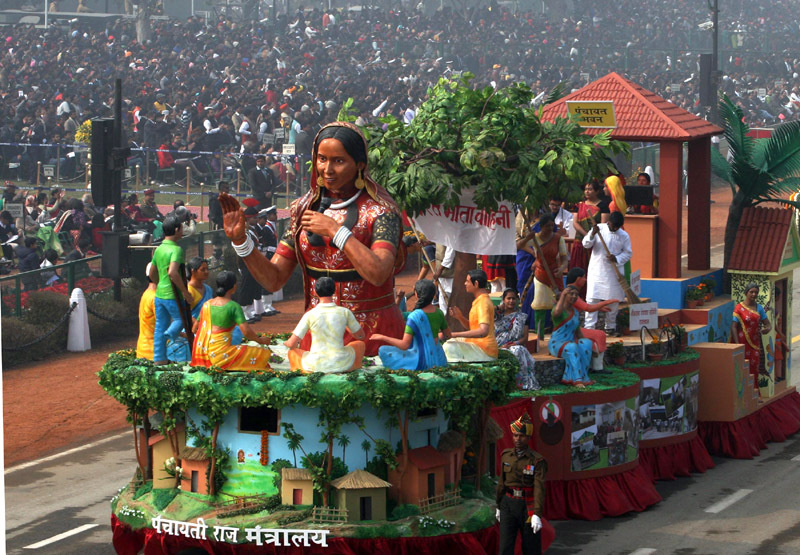 The tableau of the Ministry of Panchayati Raj passes through the Rajpath, on the occasion of the 67th Republic Day Parade 2016, in New Delhi on January 26, 2016. 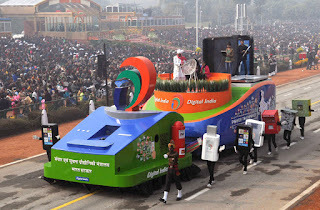 The tableau of the Election Commission of India passes through the Rajpath, on the occasion of the 67th Republic Day Parade 2016, in New Delhi on January 26, 2016. 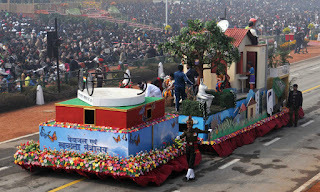 The tableau of the Ministry Drinking Water and Sanitation passes through the Rajpath, on the occasion of the 67th Republic Day Parade 2016, in New Delhi on January 26, 2016.